577Pcs Combination Drills Set - Buy Combination Drills Set, Drill Set with plugs, Drill Set Product on Huikang Tools Co. Ltd.
• General purpose for drilling and fastening. 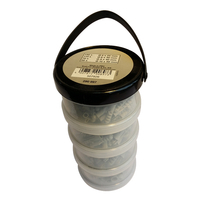 • Contains drills for metal, masonry and wood working using. • 25 mm screw bits, plus magnetic bits holder for most screwdriver using. 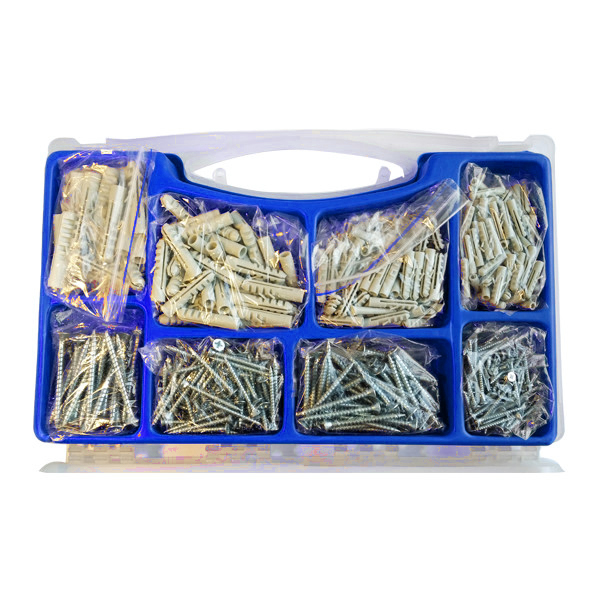 • Contains standard expansion plugs (fish type, PE) and chipboard screws, blue Zinc plated, DIN standard, flat head Pozidrive. 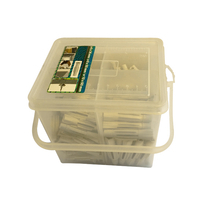 • Supplied in transparent PP storage case with blister inlay on both sides (front and back). 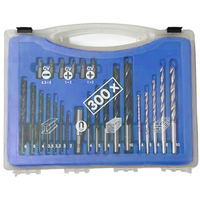 - 6pcs HSS twist drills: HSS4241, DIN338, black oxided finishing. - 5pcs wood drills: carbon steel, bright/black finishing. 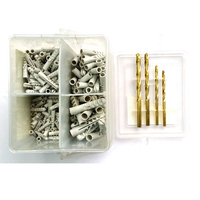 - 5pcs masonry drills: carbon steel body heat treated, zinc plated. With YG8C tip. 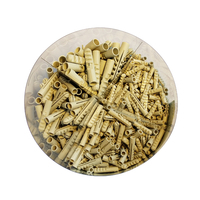 - 9pcs 25mm bits: 1/4" C6.3. 6150CrV. Sandblast. 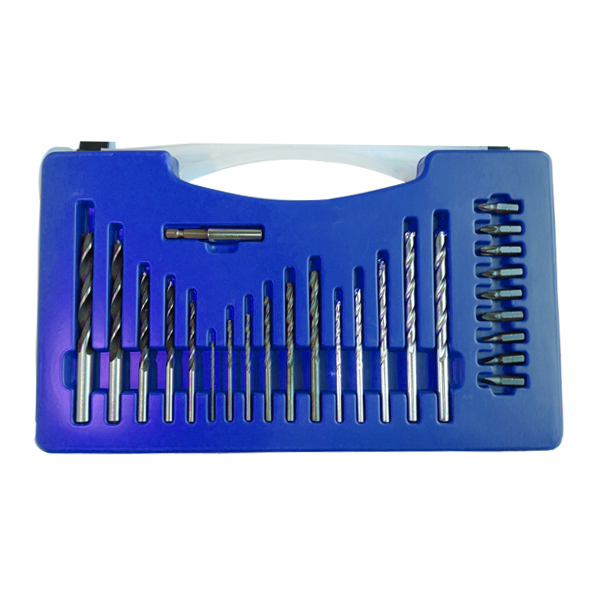 - 1pc 60mm magnetic bits holder: alloy steel, chrome plated. 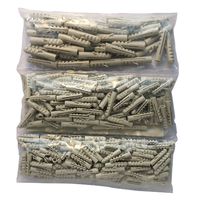 - 275pcs wall plugs: fish type, PE material. Grey color. 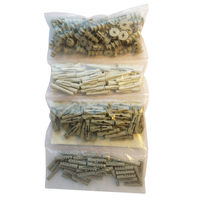 - 275pcs chipboard screws: DIN. PZ with flat head. Blue zinc plated.